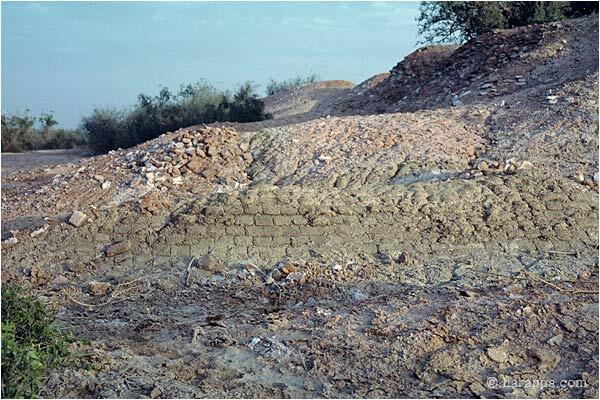 The foundations of many houses were constructed on top of massive mud brick platforms such as this one eroding from the edge of the mound along the major east-west street dividing HR and VS areas. The size of large mud bricks used for the construction of such platforms is 10 x 20 x 40 cm (a ratio of 1:2:4). In the background is a partially exposed platform with fired brick fragments and pottery still covering the surface.